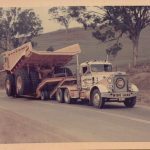 Thanks to Chris Nicholes for the picture and description: 1968 – one of the first Wabco dump trucks, being hauled to the Talbingo dam project. 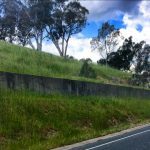 Peterbilt truck, just out of Gundagai. 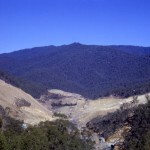 A picture of the Talbingo Dam site taken in 1968. With thanks to Chris Bonnor. 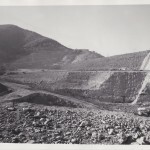 With thanks to Chris Nicholes for the picture and description: Gocup Road 1968. Hauling a new WABCO Haulpac dump truck to Talbingo Dam site. 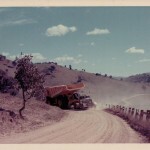 Peter built prime mover, Pacific Coast Trucking. Photo courtesy Doug Clark.